I can't decide what I like better in today's shop. The product photos, or the product itself, it's really hard to decide. Especially when you are considering such creative, innovative photos like the one in this post. Today's shop is LeelaRocks by Monique, and she has some really innovative pieces! In Monique's shop announcement, she describes LeelaRocks as "with a bit of an Art Deco feel, just enough rock chic edge and lots of embellishment, LeelaRocks strives to create jewelry that evokes playfulness, enthusiasm, lightheartedness and laughter." I love that. I love the inspiration in that introduction and what she aspires to do with her craft. From necklaces to bracelets, earrings and more, this shop is filled with beautiful, innovative and creative pieces you'll love. YOU CAN CLICK ON THE PICTURES ABOVE TO VISIT LEELAROCKS' SHOP ON ETSY AND TAKE A LOOK AROUND OR, IF YOU PREFER, CLICK RIGHT HERE. When I was young, my family did a LOT of camping in the summer. Almost every weekend, in fact, and usually at least one week-long camping trip. I used to love it. I grew up in western Washington, which is full of rain forests and cedar forests, darkly shaded paths and hiking trails, rivers, waterfalls and lakes. Camping was always an adventure. Not only did I get to spend as much time as I wanted barefoot, wild and free and enjoying nature... but I also got to play with fire. When I came across today's feature shop, it brought me back and made me smile all at the same time. 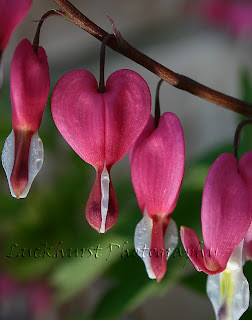 Nathaniel Luckhurst's photography is beautiful. Gorgeous, actually. And he has a lot of pieces in his shop that make it very easy for me to reminisce about my camping and hiking adventures. In fact, l like the picture posted just to the left in this blogpost, many of them are perfect resurrections of my memories as many, many of my camping trips and hiking paths looked just like many of the forest land photographs he has to share in his shop. Since moving to Canada, I haven't really gone camping. I suppose I could blame it on growing up, but I think the fact of the matter is that I never actually realized how much work was involved in all those camping trips back when I was a kid. The preparation (and supplies) needed is phenomenal! Still, with spring soon slipping into summer and memories stirred by Nathaniel Luckhurst's beautiful prints, I feel the urge. 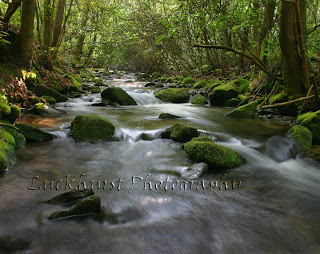 I might just have to take a weekend to enjoy a much-missed-and-longed-for taste of nature again. TO VISIT LUCKHURST PHOTOGRAPHY ON ETSY, YOU CAN CLICK THE PICTURES ABOVE OR, IF YOU'D RATHER, CLICK RIGHT HERE! Sandals for Baby, Slippers for Mom and Lots of Crochet Patters too! I can't knit. I can't crochet. It's just not one of my talents. And believe me, I've tried. Have I ever tried and tried! I've had a number of different teachers and I've tried a number of different methods, but the fact remains that (much like balancing a checkbook) yarn work is not one of my skills. That doesn't keep me from appreciating those that do, though. In fact, if anything it makes me appreciate them more. And when I stumble across something inventive that makes me smile, I have the sudden urge to share. That's how today's shop ended up here as a feature, because the moment I saw the little crocheted baby sandals... I had to share. 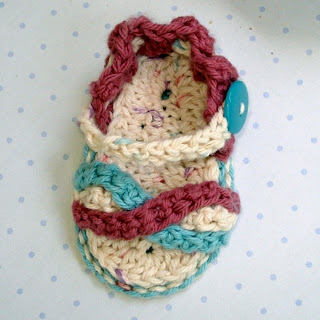 I've never seen crocheted baby sandals before, but I imagine they'd be much more comfortable on baby feet than some of the shoes and sandals out there that I've seen parents cram their babies feet into. And Genevive on Etsy has a number of different patterns just for baby too. Booties, sandals and shoes in a number of different styles. Genevive also has illustrated crochet patterns for adult slippers as well. I have a pair of crocheted slippers I wear around the house in winter and I have to tell you that I love them. I adore them. They're cute and so much more comfortable than the store slippers I've bought in the past. These patterns are all written and illustrated by Genevive, who learned to crochet from her mother and her mother and it's a talent that's been passed down in her family for many generations. Genevive has decided to use the new colors and uses for yarn in today's world and incorporate them into fresh, new designs and patterns. If I could crochet, I'd be spending a fortune in this shop buying patterns. Take a peek! If you crochet, the shop could be right up your alley and if you know someone who crochets, you might just find them the perfect gift! YOU CAN CLICK ON THE PICTURES ABOVE TO VISIT GENEVIVE'S SHOP ON ETSY AND TAKE A LOOK AROUND OR, IF YOU PREFER, CLICK RIGHT HERE. I took a long weekend! A really nice, wonderfully relaxing long weekend that was just what the doctor ordered. I don't think I've slept so much in my life! Now that I'm back, I'd love to introduce you to one of my Etsy BESTeam peers today. 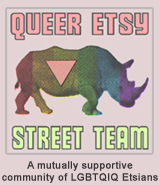 The BESTeam is an Etsy team that's dedicated to helping each other promote our handmade products and businesses. 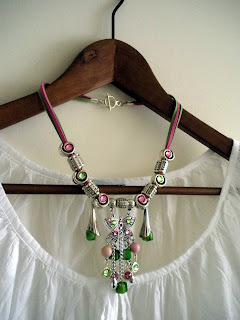 Alexanders Designs is a member, just as I am (as Bits n Beads by Gilliauna, of course). Alexanders Designs is a husband and wife team that work together to create jewelry from Dichroic glass, fused glass, gemstones, crystals and pearls. They have bracelets, necklaces, earrings and even rings. In fact, Skip Alexander's rings were just recently featured in the Kansas City Star Magazine! Jenny and Skip Alexander are both glass artists and have taken a number of classes from lampworking to classes in fused glass and borosilicate glass. 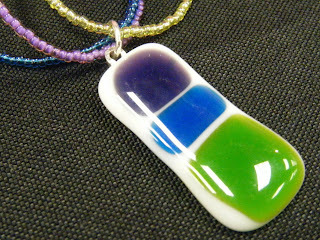 They've spent many hours perfecting their skills together and it shows in many of their glass art beads and pendants. TO VISIT JENNY AND SKIP ALEXANDER'S DESIGNS SHOP ON ETSY, YOU CAN CLICK THE PICTURE ABOVE OR, IF YOU'D RATHER, CLICK RIGHT HERE!